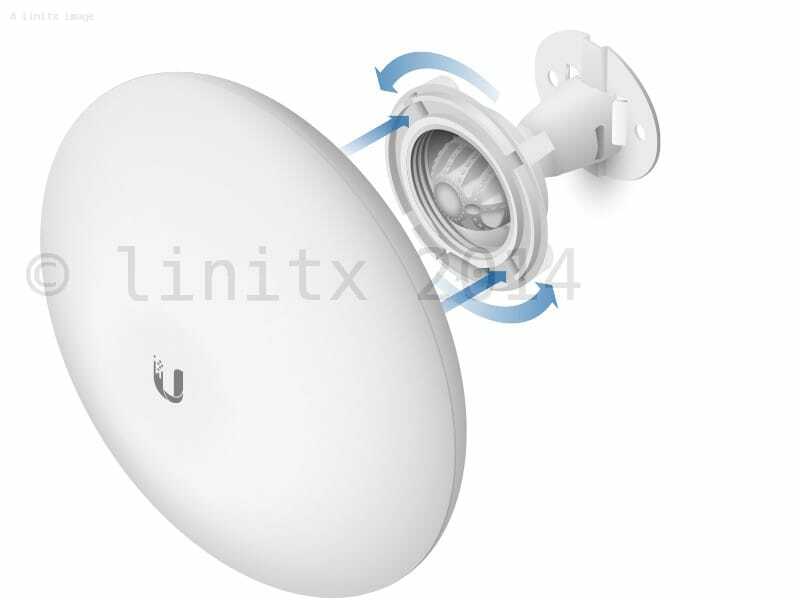 The Ubiquiti airMAX NanoBeam Wall Mount Kit has been special designed for the NanoBeam 19 & 16 (NBE-M5-19/NBE-M5-16) in order to securely install them on the side of a building without the need for a large J Pole mount. 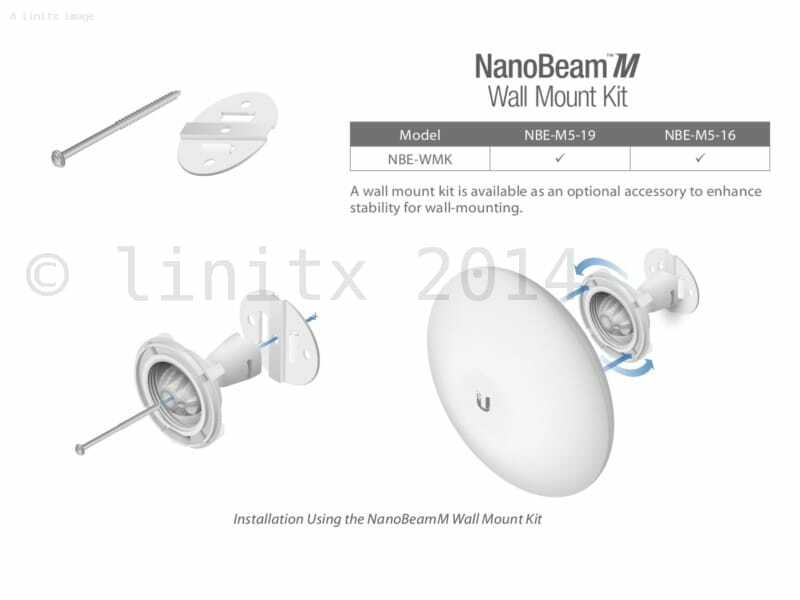 Use the optional NBE-WMK Wall Mount Kit for enhanced stability when mounting the NanoBeam on a wall. Screw and fittings provided. This would be a perfect solution if the mounting surface is +/- 10 degrees to the desired path. 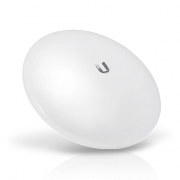 We needed to have a 45 degree angle to the wall and there was not sufficient adjustment on the Nanobeam ball socket. So we had to go for a separate aerial mounting bar from Screwfix and use the original bar mounting clip in the main package. However still a solid base if your wall mounting is suitable. It's a mount for the Nanobeam.. Works like it should.